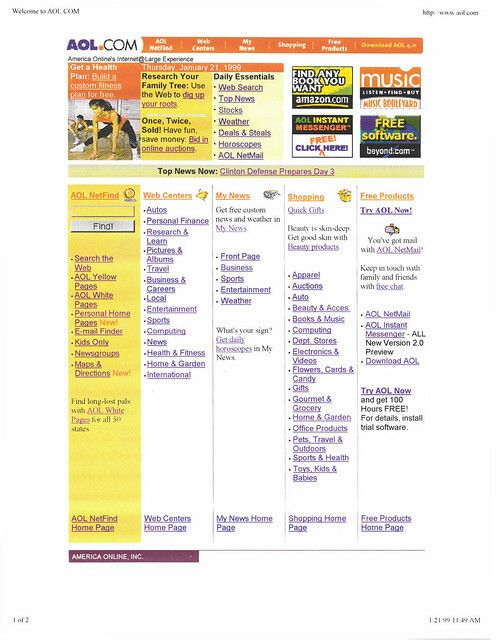 January 21, 1999: The top spot is a Health & Fitness promo for building custom health plans. Of course, more stock photo workout women (tights this time, not sports bras). The other text promos feature online genealogy and online auctions, while the My News headline seen here is for Day 3 of the Clinton impeachment defense.